POCO F1, an affordable flagship smartphone priced at Rs.20,999 for 6GB/64GB variant. Xiaomi launched a brand new flagship smartphone called POCO F1 today, on August 22 in India. The POCO F1 comes with a bigger battery, liquid cooling technology, latest flagship processor, three device variants at an affordable price tag, some added features, and brand new MIUI for POCO custom ROM with POCO Launcher as well. The new MIUI for POCO is featured with the Turbocharged engine for faster startup, new app drawer with customizations and design, and faster updates with latest security patch upgrades than the regular MIUI version. Supports Portrait, HDR, dual-pixel autofocus, EIS, Face Recognition, AI Beauty, Low light, AI Dirt detection etc. Front camera features AI portrait, Face Recognition, Beautify etc. Does have Proximity, Gyroscope, E-Compass, Ambient Light, rear-mounted Fingerprint sensor, Vibration Motor, and Hall sensor. 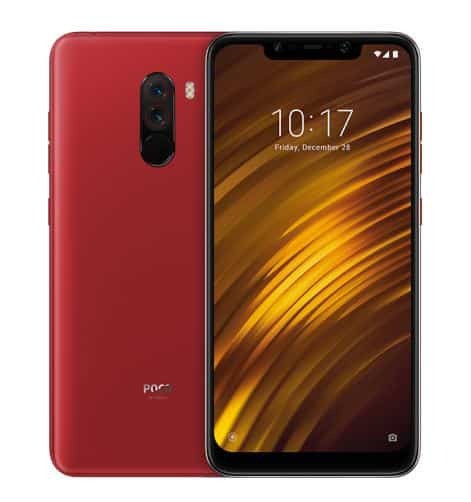 Additionally the POCO F1 Armoured Edition available with a Kevlar back panel – scratch and water resistant (imported from the USA). 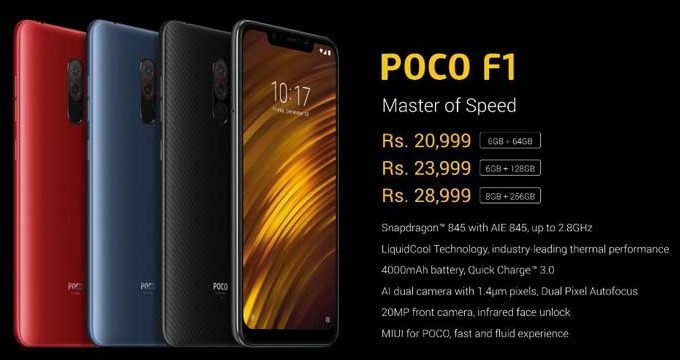 The new POCO F1 comes with a new version of MIUI – called ‘MIUI for POCO’. Basically, it has the new redesigned UI with POCO Launcher. This launcher features the app drawer, Google search bar, categorized apps and games with color option, hide apps, recently used apps, third-party icon packs etc. Additionally, it features the Turbocharged engine technology for faster application startups, foreground tasks, and faster Android updates with the latest security patch upgrades also. The company claimed that the POCO F1 will get Android P update soon in Q4 2018 and the regular updates will also be available faster than the regular MIUI. Today Xiaomi also announced that they will release the POCO F1 device Kernel Source Code officially on Github within this month. The POCO Launcher Beta version will also be available on Google Play Store on August 29 officially. It can be used on other Xiaomi devices as a UI launcher. This smartphone also has to be unlocked the bootloader to flash any file and it will not void the device warranty. All the device models will be available for sale from August 29 at 12:00 PM via Mi.com and Flipkart. The company will also launch this device in HongKong, Jakarta, and Paris countries on August 27, 2018.